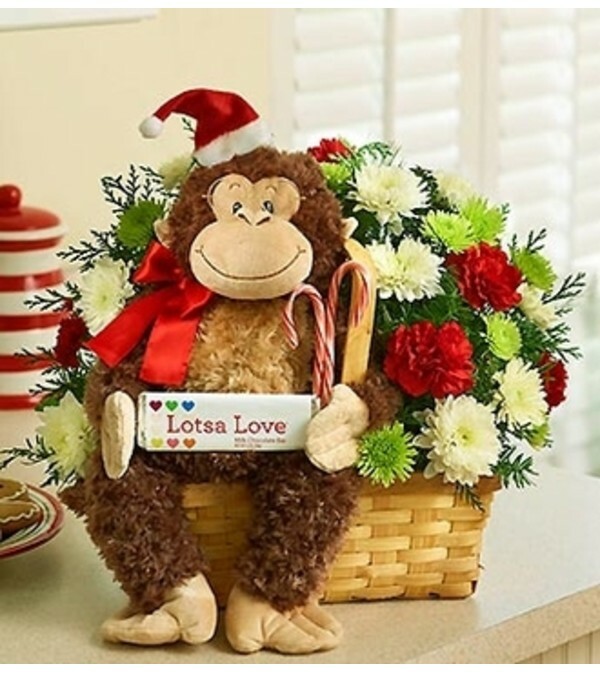 Send season’s greetings in abundance: a lush arrangement of carnations, poms and assorted Christmas greens in a rectangular handled basket; a cuddly plush monkey with Santa hat and glasses; and our exclusive Lotsa Love® chocolate bar. 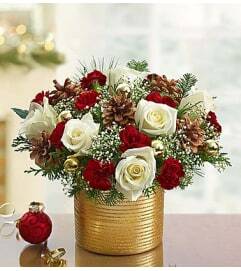 It’s a winter wonderland of cheer that’s perfect for friends and family. 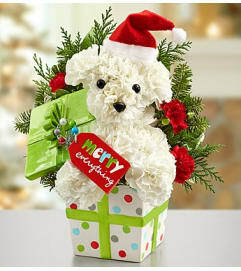 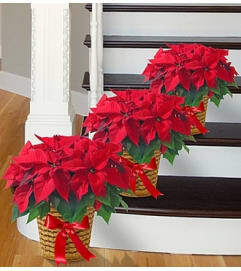 Hand-crafted arrangement of the freshest carnations, poms, mini carnations and assorted Christmas greens.